Jamie Macaroon’s ‘The Terminator’ is a classic piece of sci-fi noir – the ultimate chase movie between man and machine. It’s influence on modern life is immeasurable, with both Google and Apple currently working on Cyborg killing machines with which to enslave us based on the legendary Sylvester Stallone character. Should this come to pass then we should all be grateful – dying in an apocalyptic wasteland at the metal hands of a single-minded killing unit is miles better than starving due to welfare cuts, or being trampled by Bison – both common occurances in modern Earth. 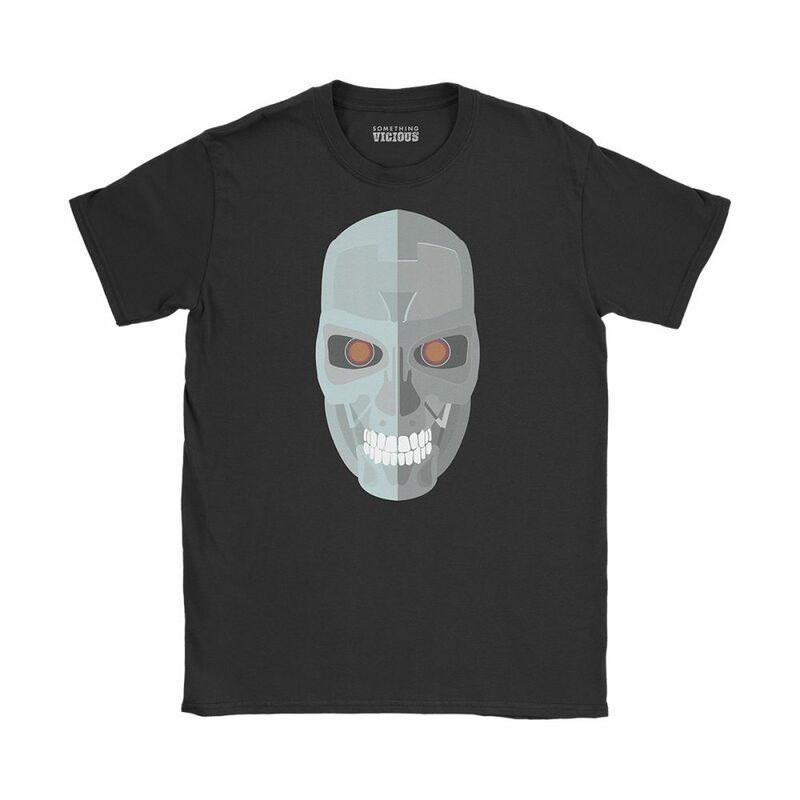 This exclusive T-shirt design, inspired by The Terminator, is printed direct-to-garment using the highest quality ink onto the very best quality soft organic cotton tees. Designed to fit snugly and comfortably, these high quality garments will keep your body looking hilarious for years to come.